You’ve all heard one hundred times before, would you rather be a small fish in a big pond or a big fish in a small pond? Normally you might think that you want to be the big fish but in some situations the smaller fish might actually have the advantage. Think about it from a business perspective; big businesses, while they have the power to get things done quickly are more likely to make mistakes or loose touch with what they have done or what they want to do. If a business is too big there are only so many places they can go, just like a big fish in a small pond. This why a small business can often times be more helpful and more efficient. While they might not have the advantage in size to overpower other business’ they do have the advantage to make the moves that bigger business’ cannot. It is no small secret that large corporations are less personable than small ones. Regardless of what is might seem like on the phone when human resources are fixing problems made by other departments, most of the employees are just showing up for their 9-5 job and are unconcerned with any business matters outside of those hours. On the other hand small business owners and workers have heightened levels of caring and commitment and as a result are likely to be more attentive to both business and personal matters. 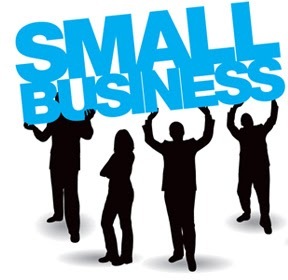 Smaller business’ are more personal, more flexible to stakeholder needs, and at the end of the day they are going to be the best in their niche. While larger business’ are on a linear track to being the best, the biggest, and the most recognized, smaller business’ have the advantage of being more in tune with their consumers. They are are able to provide them with exactly what they need while contributing to the local economy and helping out other local families and businesses. So think big and stay small, chances are you will get the most out of what you want if you do.